Yet another “Trade Alan Gross for the Cuban 5” storyline, brought to you by the Castro regime’s active cultivation and manipulation of correspondents in the Jewish media. Havana has failed to gain traction for “Trade the 5” coverage in major media outlets. However, it views the Jewish community as extremely influential in US political circles, so expect Cuba to intensify its outreach and courtship of this media market and its constituency. Three spies thrown out of the US in retaliation for Havana’s efforts against US military operations continue to enjoy their posting in beautiful Buenos Aires, Argentina. All three belong to Havana’s foreign intelligence service, the Directorate of Intelligence (DI), consistently ranked among the top six spy organizations in the world. Raúl Rodríguez Averhoff and his wife, María Cristina Delgado Suárez, arrived in 2006. A Consular Officer, he serves is the elite Department known as M-I [US Targets], although he has some experience in M-II [Latin American Targets] as well. Under cover as the Cultural Consular, Delgado Suárez’s department affiliation within the DI is unknown. In May 2003, the US expelled 14 Cuban diplomats for espionage. Seven diplomats were based at the Cuban Mission to the United Nations (CMUN) and the other seven at the Interests Section. A Second Secretary at the Interests Section, Rodríguez Averhoff was one of the seven expelled from Washington. His wife, known to the US Intelligence Community as a DI officer, had increased her husband’s value as the target of a PNG action. She accompanied him during his early return to Cuba. The expulsions occurred less than eight weeks after the US and its coalition partners attacked Iraq in Operation Iraqi Freedom (OIF). Washington Times columnist Bill Gertz noted that the mass expulsions retaliated for Havana having shared information on US troop movements and associated military activities with Iraqi Intelligence. Oscar Redondo Toledo’s arrival date in Argentina is unclear. In early November 2002, the US declared Redondo Toledo Persona Non Grata. He enjoyed diplomatic immunity as a First Secretary at the Cuban Interests Section. According to the Washington Post, the PNG action retaliated for the 16-year career of Cuban spy Ana Montes, who was sentenced in October 2002. While with the Interests Section, Redondo Toledo handled the “Sister City” program between Havana and Mobile, Alabama. The Mobile-Havana partnership was established in 1993. On June 13th, 2002, Redondo was the featured speaker at a meeting in Philadelphia. Other speakers that night were Pamela Martin of the Philadelphia-Cardenas Sister Cities Project and Stephen Paulmier of the “Free the Five” Committee. Redondo Toledo began his Washington tour in April 2000. Prior to this assignment, Redondo Toledo served at the CMUN, the traditional hub for Havana’s US-based espionage operations. He was groomed for his US tour by his posting as the Prensa Latina correspondent in Mexico for five years. Mexico City, along with New York City and Madrid, are the three largest Cuban Intelligence Centers in the world. Dr. Latell may be convinced that Rolando Cubela was a Cuban double agent, but there remains considerable evidence to the contrary. Readers, please feel free to weigh in with your information. I’ll provide a summary of my analysis shortly. Only 300 activists answered a nationwide call for protests to release the Cuban 5. Need I say more? Say goodnight Gracie…. 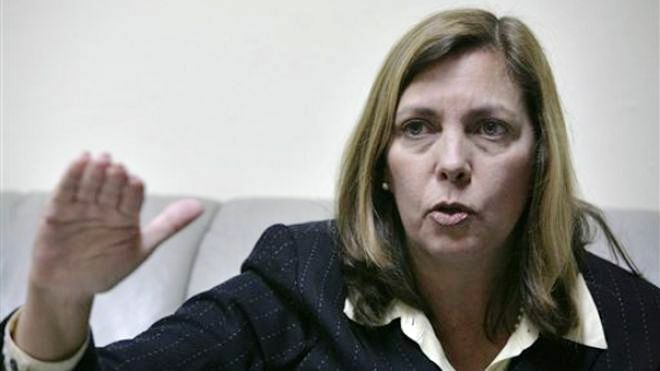 · We issued a visa to Josefina de la Caridad Vidal Ferreiro, director of the North American Division of the Ministry of Foreign Affairs of Cuba, to conduct “internal work” at the Cuban Interests Section (CUBINT) in Washington, DC. · Ms. Vidal is scheduled to arrive on April 28 and stay for five days. · Unlike Cuban authorities who regularly seek to block interactions between U.S. diplomats and members of civil society in Havana, we do not fear such interactions and have long allowed Cuban diplomats to interact with civil society in Washington. René Mujica, who previously served two tours in Europe as an ambassador, most recently as Havana’s senior diplomat in England, is now the “Coordinator” for the Analytic Group in the North American Directorate of the Ministry of Foreign Relations (MINREX). Normally, having served as a deep-cover spy and then in multiple ambassadorial postings, Mujica should be at least a Department Head by now. For comparison, one need look no further than Josefina Vidal Ferreiro, who currently heads MINREX’s North America Directorate. Vidal served as a First Secretary at the Cuban Interests Section in Washington, DC until she was thrown out in May 2003 as part of a mass expulsion of Cuban diplomat spies. Despite this set back, she moved on to become a directorate chief. Meanwhile, a former ambassador – who served as a First Secretary in the US over 25 years ago, is now a staff bureaucrat working several tiers below her. Makes one wonder what, or who, sabotaged his career….